Last week Delhi high court, temporarily lifted the ban on Xiaomi upto Jan 8th, Now xiaomi is offered to sell Qualcomm based smartphones like Xiaomi Redmi 1s, Xiaomi Redmi Note 4G in India. The court hearing will be on Feb 5th as usual, the sale today will be a flash sale. Flipkart made a rule, that there will be only one smartphone per customer, as like other sales the sale will go live exactly at 2 PM IST. But still no news on how many units will go on sale, as this is an unusual time for Xiaomi to bring back it’s most selling phone to be on sale again, They are supposed to launch Redmi Note 4G at this time, and continue their Redmi Note sales, but everything changed. 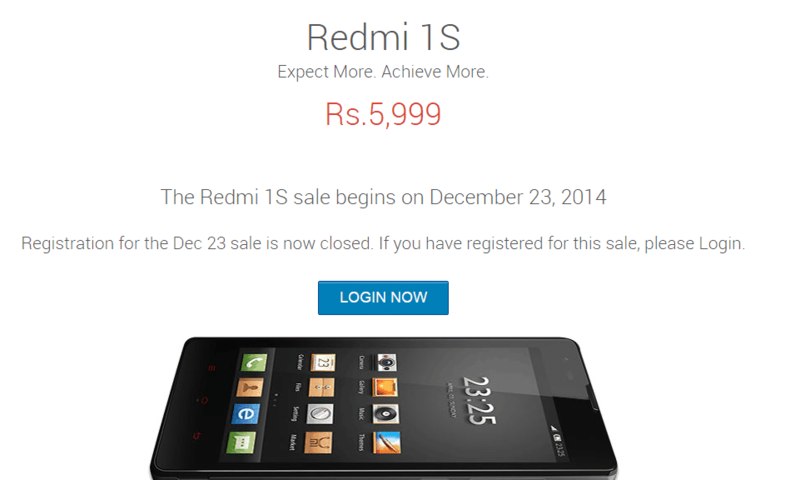 We need to see how far the sale goes today, will it be a flash sale again because the users at present are more interested towards Redmi Note than Redmi 1s. When we see at the starting of this month Redmi Note launched with higher expectations as it’s a best competitor to Moto G 2nd Gen, Asus Zenfone 6 and several other smartphones, their sales are also went out of stock in 6, 8 seconds consecutively, now we need to see whether the oldie Redmi 1s is back in action or not?